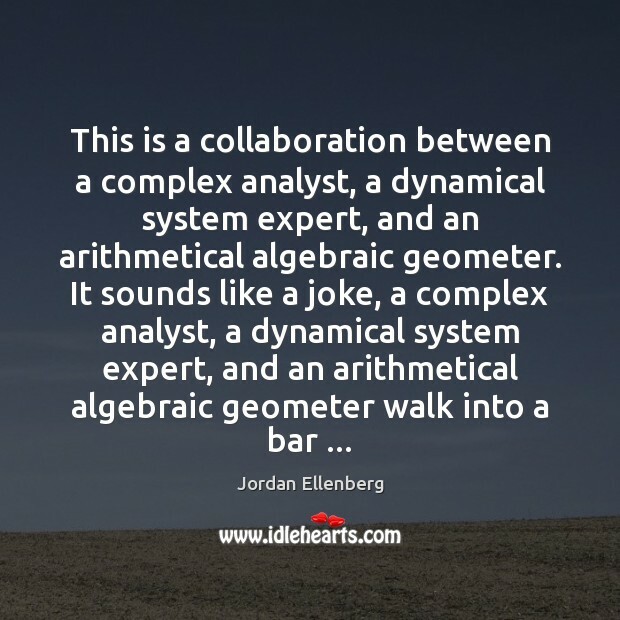 Quotations about Analyst. Quotes to stimulate mind and drive action! Use the words and quote images to feed your brain inspiring things daily! 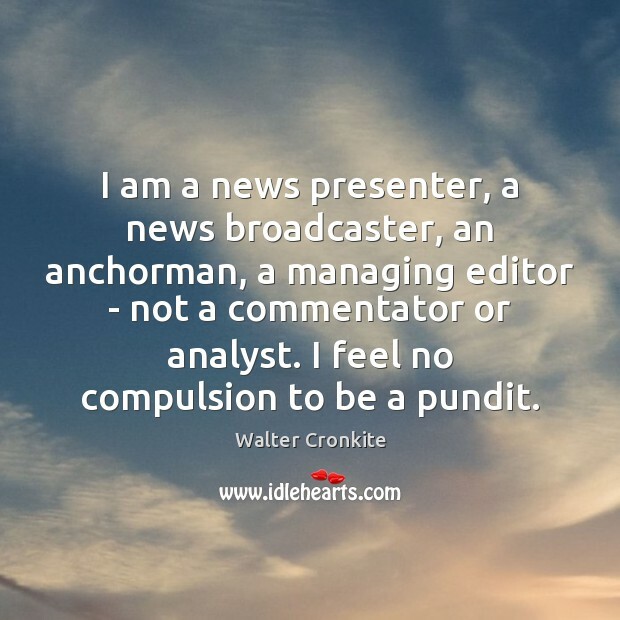 I am a news presenter, a news broadcaster, an anchorman, a managing editor - not a commentator or analyst. 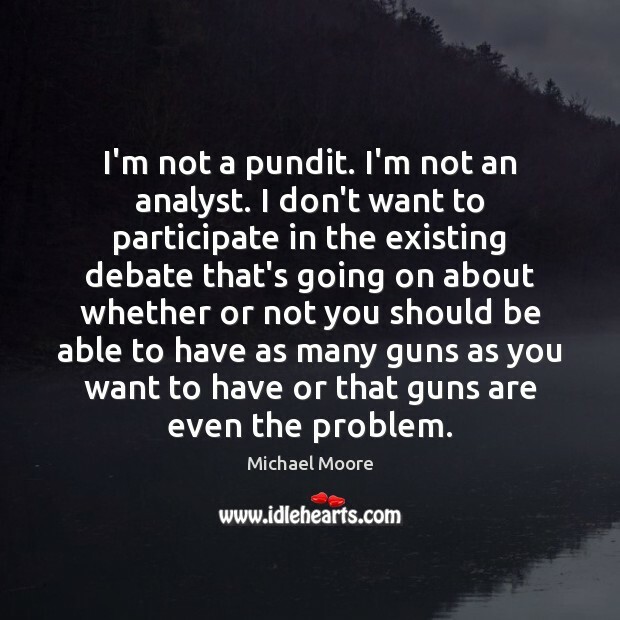 I feel no compulsion to be a pundit. 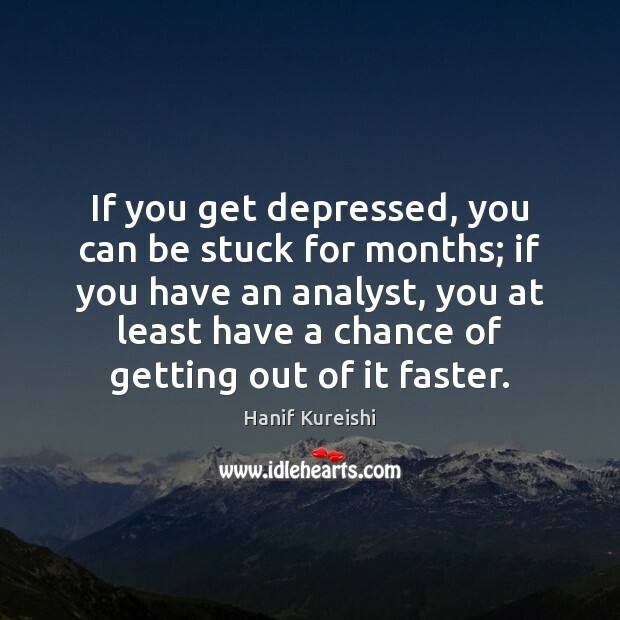 If you get depressed, you can be stuck for months; if you have an analyst, you at least have a chance of getting out of it faster. 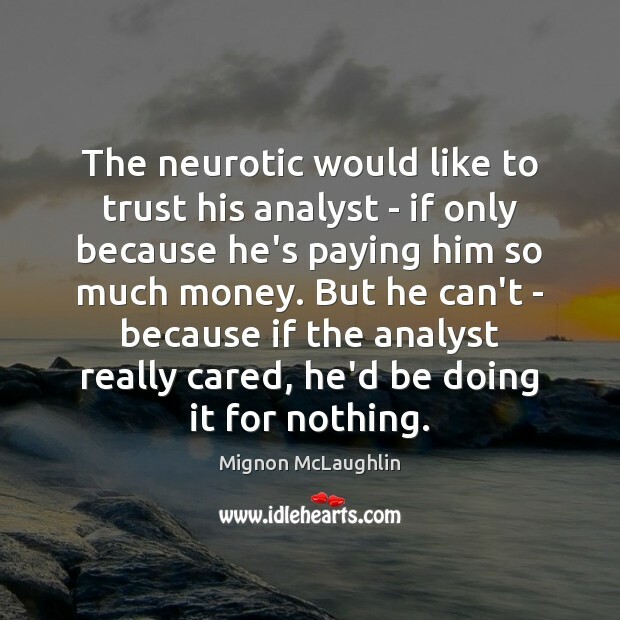 The neurotic would like to trust his analyst - if only because he's paying him so much money. 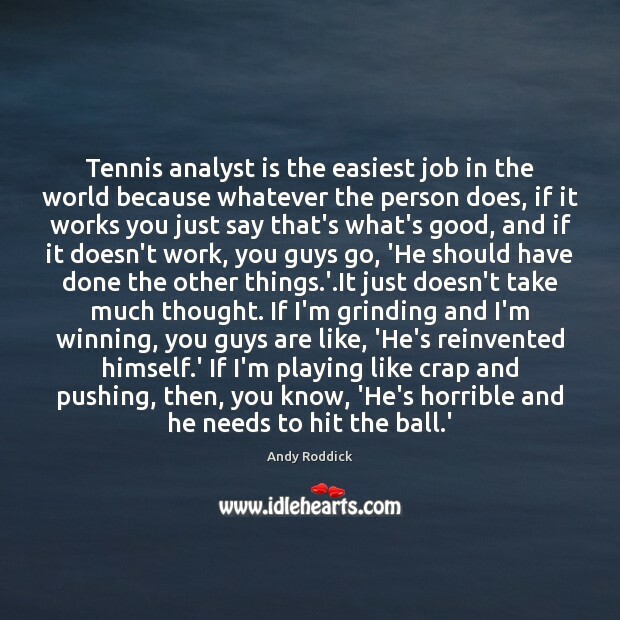 But he can't - because if the analyst really cared, he'd be doing it for nothing. I think if I weren't so squeamish, I would have been some sort of forensic analyst. 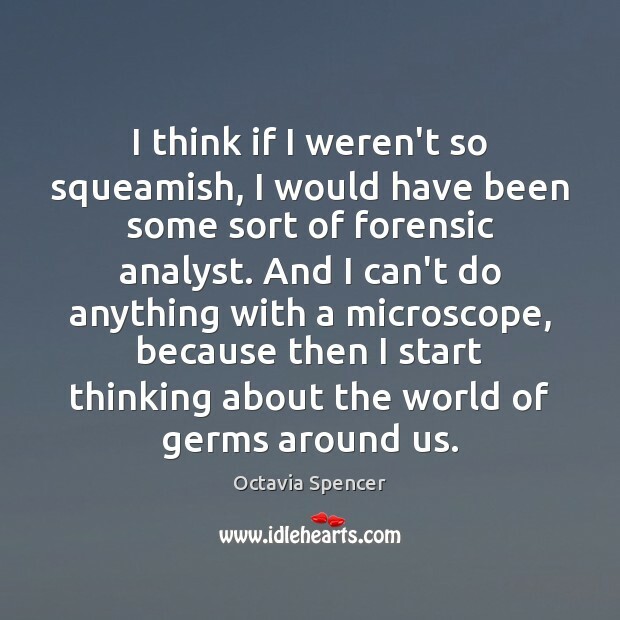 And I can't do anything with a microscope, because then I start thinking about the world of germs around us. I hate taxing my mind with analysis. I'm not a good analyst. I cannot talk about acting. I hate talking about it. 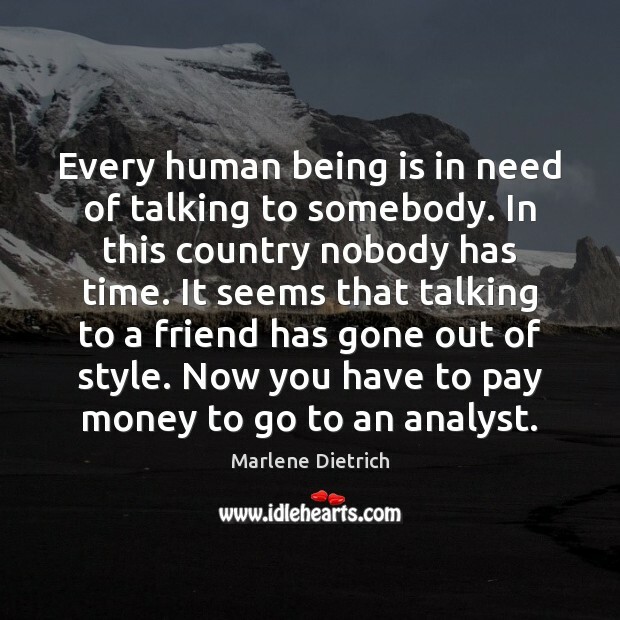 I hate talking about analyzing. I loved getting my M. B. A., and I really enjoyed being an accountant and financial analyst before I quit my day job twenty-five years ago to write full time. 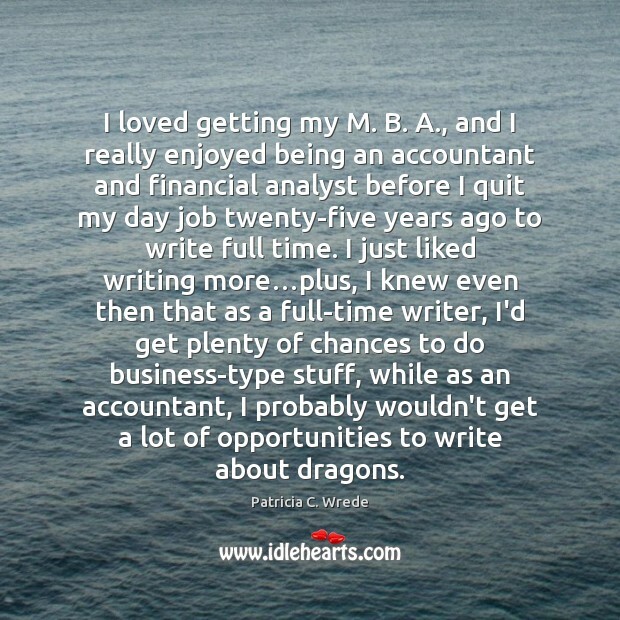 I just liked writing more…plus, I knew even then that as a full-time writer, I'd get plenty of chances to do business-type stuff, while as an accountant, I probably wouldn't get a lot of opportunities to write about dragons. It's unlikely I'll ever submit to a psychiatrist's couch. 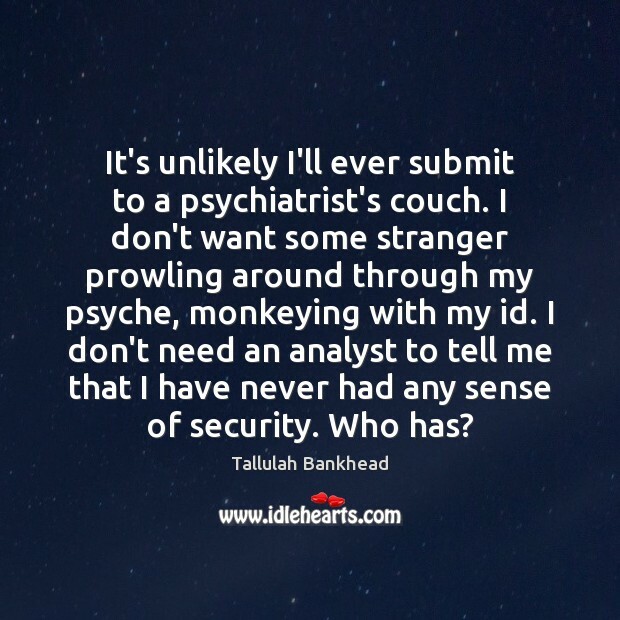 I don't want some stranger prowling around through my psyche, monkeying with my id. 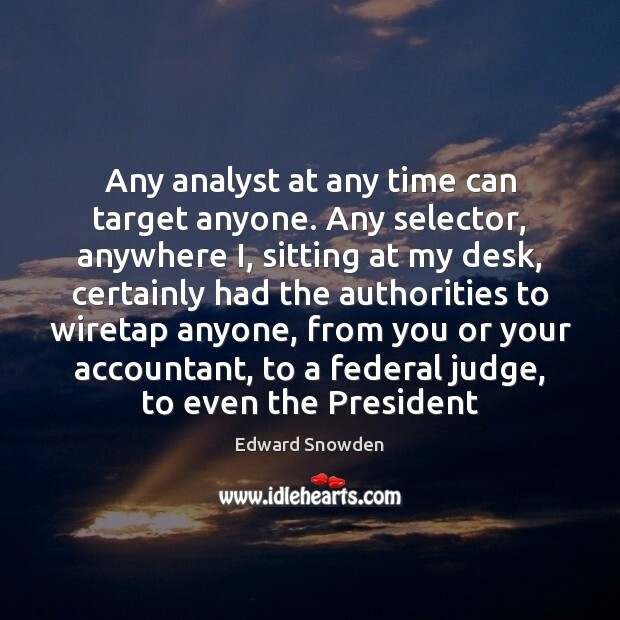 I don't need an analyst to tell me that I have never had any sense of security. Who has? 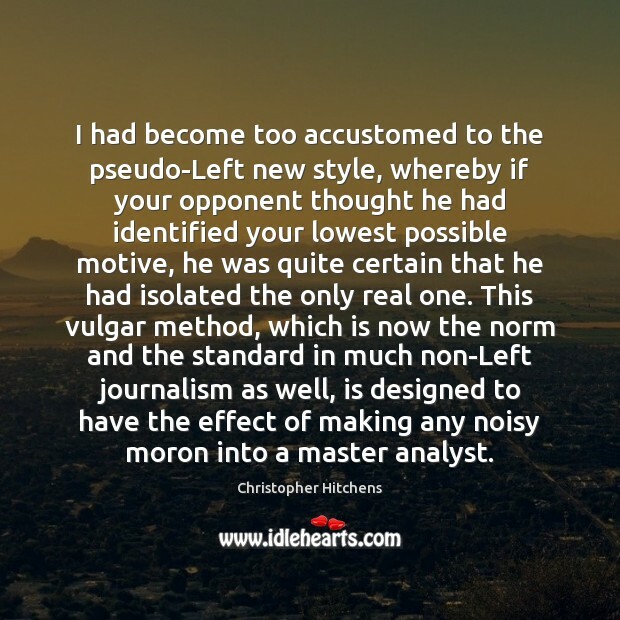 I had become too accustomed to the pseudo-Left new style, whereby if your opponent thought he had identified your lowest possible motive, he was quite certain that he had isolated the only real one. This vulgar method, which is now the norm and the standard in much non-Left journalism as well, is designed to have the effect of making any noisy moron into a master analyst. 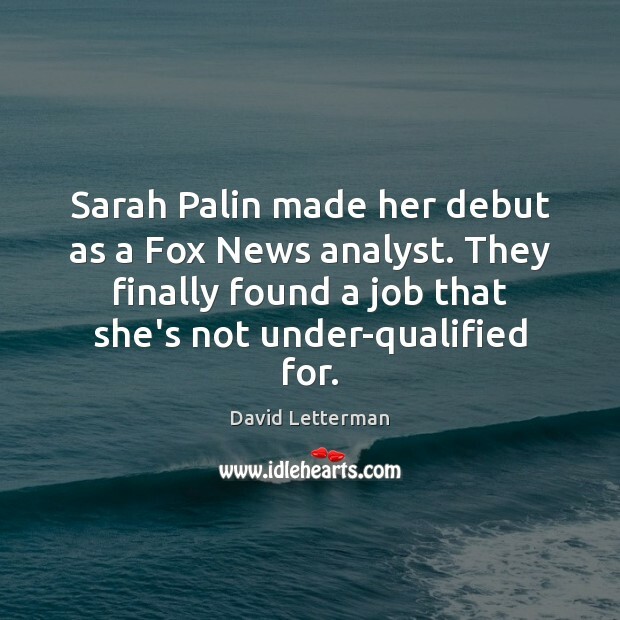 Sarah Palin made her debut as a Fox News analyst. They finally found a job that she's not under-qualified for. 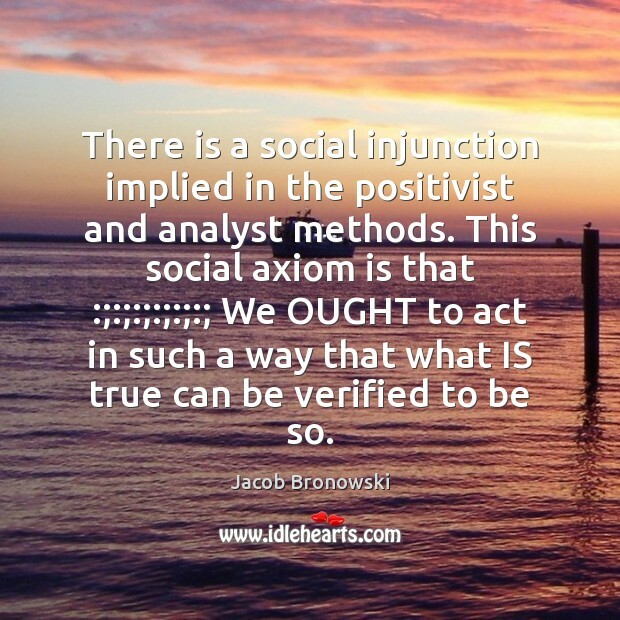 There is a social injunction implied in the positivist and analyst methods. This social axiom is that :;:;:;:;:;:; We OUGHT to act in such a way that what IS true can be verified to be so. 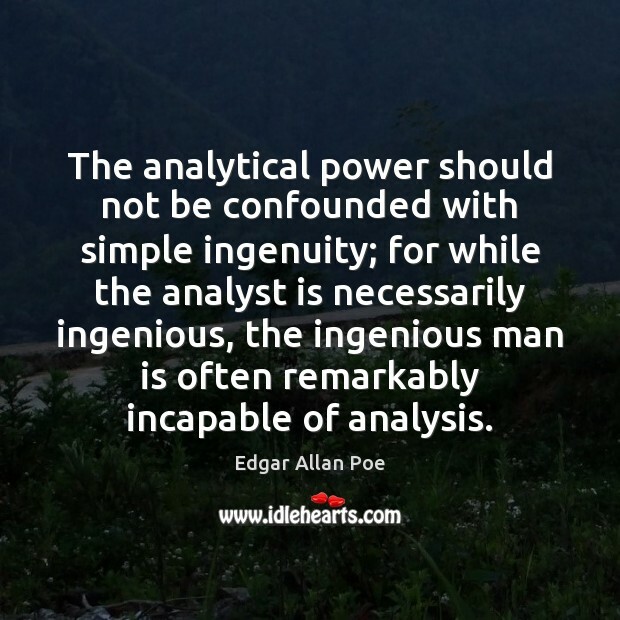 The analytical power should not be confounded with simple ingenuity; for while the analyst is necessarily ingenious, the ingenious man is often remarkably incapable of analysis. Last year I had difficulty with my income tax. 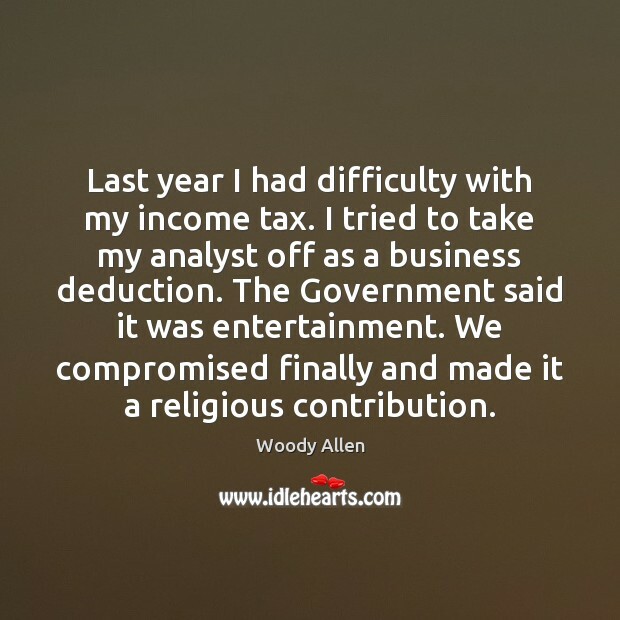 I tried to take my analyst off as a business deduction. The Government said it was entertainment. We compromised finally and made it a religious contribution.